MOTIVATED SELLERS! Rich, dark wood bamboo flooring in main living space flows into spacious kitchen/dining combo. 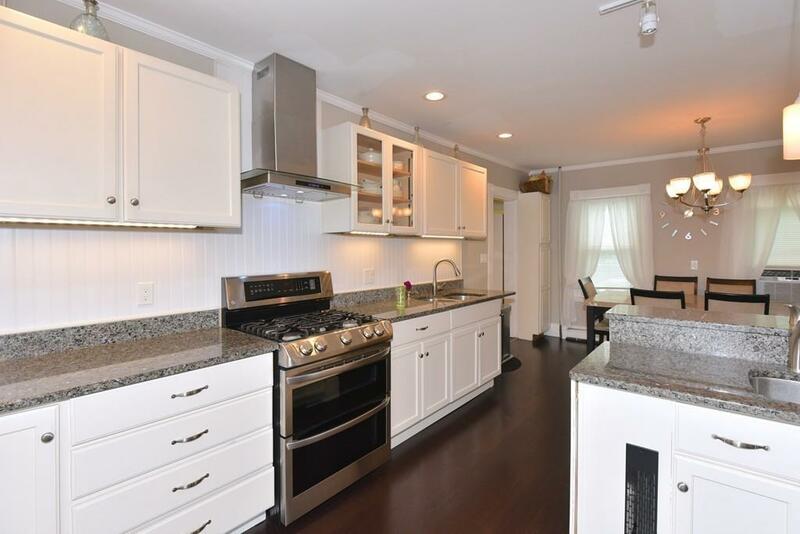 Completely remodeled kitchen (2013) is the hub of the house & perfect for entertaining. Custom kitchen features loads of cabinet space, granite countertops, stainless steel appliances, two sinks & a built in breakfast bar. Connected to the kitchen is the spacious deck with views of beautiful Tripps pond, the landscaped yard with swing set, & above ground pool. Bonus room just off of the kitchen can be used for playroom, office, or additional living space. 1st floor full bathroom is completely updated with shower stall, laundry & ample storage. Upstairs master bedroom features en suite bath, ceiling fan & walk in closet. Too many updates to list, including: heating system, electrical panel, & tankless water heater. (all 2013) Fence, pool pump & filter, (2015) 5 burner stove (2017) Within walking distance to shops & restaurants downtown & close to AMSA. Move in ready! Listing courtesy of Angela Caruso of Realty Executives Boston West. Sq Ft Disclosures Includes Playroom Not Disclosed in Public Record. Listing provided courtesy of Angela Caruso of Realty Executives Boston West.